Classic MPC design meets modern technology. 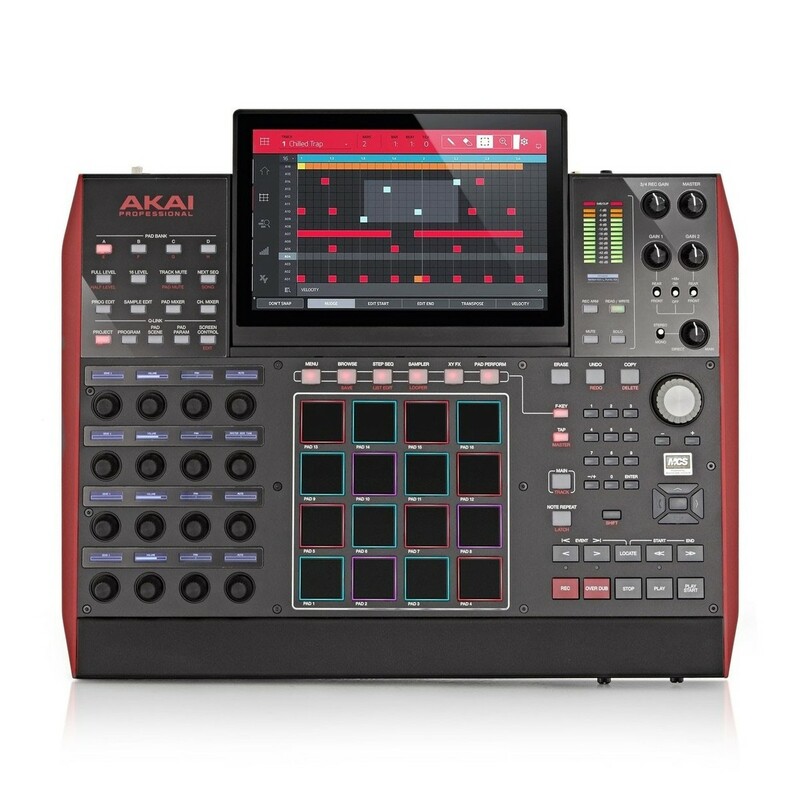 The Akai MPC X Standalone Production Machine is an all-in-one production solution featuring a built-in 10.1" full-colour multi-touch display. 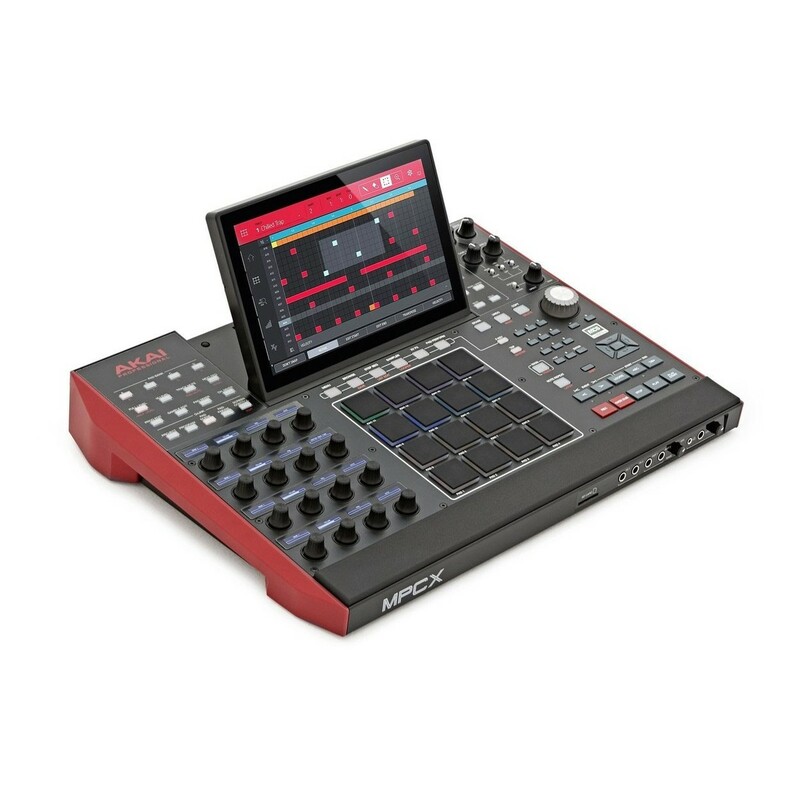 The MPC X includes 16 velocity-sensitive RGB pads as well as 16 touch-sensitive 360 degree assignable pots (Q-Links) with adaptive OLED displays. It combines the classic design of the MPC series with modern innovations, giving you everything you need to create without limits. The standalone design requires no computer, and its ultra-portable design makes it perfect for creating music wherever you go. The Akai MPC X Standalone Production Machine delivers the ultimate production solution in a standalone unit, eliminating the need for a computer. The compact design also makes the MPC X highly portable, allowing you to take your unit anywhere you go, ideal for live performances and collaborations. The large 10.1” multi-touch screen displays all the information you need and becomes the keystone of your production experience, allowing you to easily navigate through files and make edits on the fly. The MPC X features over 16GB of on-board storage, with over 10GB of premium sound content created by the world's most renowned sound designers including: Loopmasters, CR2, Capsun Pro Audio and more. The heart of the MPC X is natively powered by the MPC Software 2.3, allowing you to run the MPC standalone, as well as being able to use the MPC X in conjunction with your favourite DAW for controlling parameters and more. The MPC X features a wide variety of high-quality controls, allowing you to use and control every aspect of the MPC Software 2.0. 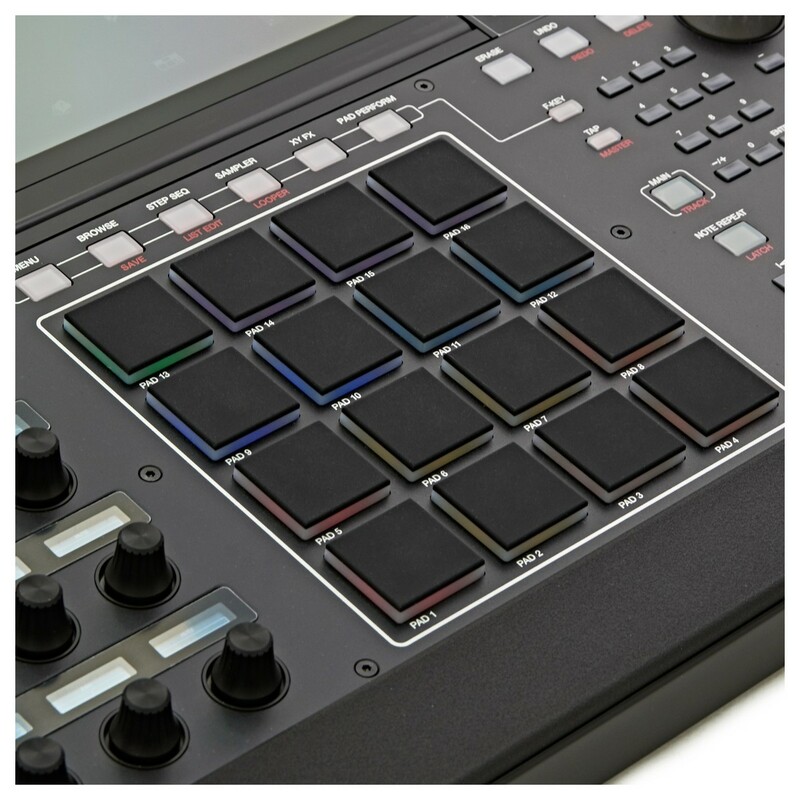 The MPC Sampler features 16 ultra-responsive velocity-sensitive RGB pads which are ideal for finger-drumming as well as triggering samples such as melodies and vocals. The RGB pads are also lit up from the back, perfect for low-light environments from studios to live club performances. 16 touch-capacitive Q-Link pot controls with OLED displays are fully-assignable allowing you to precisely automate individual parameters, adding subtle nuances to your productions and performances. 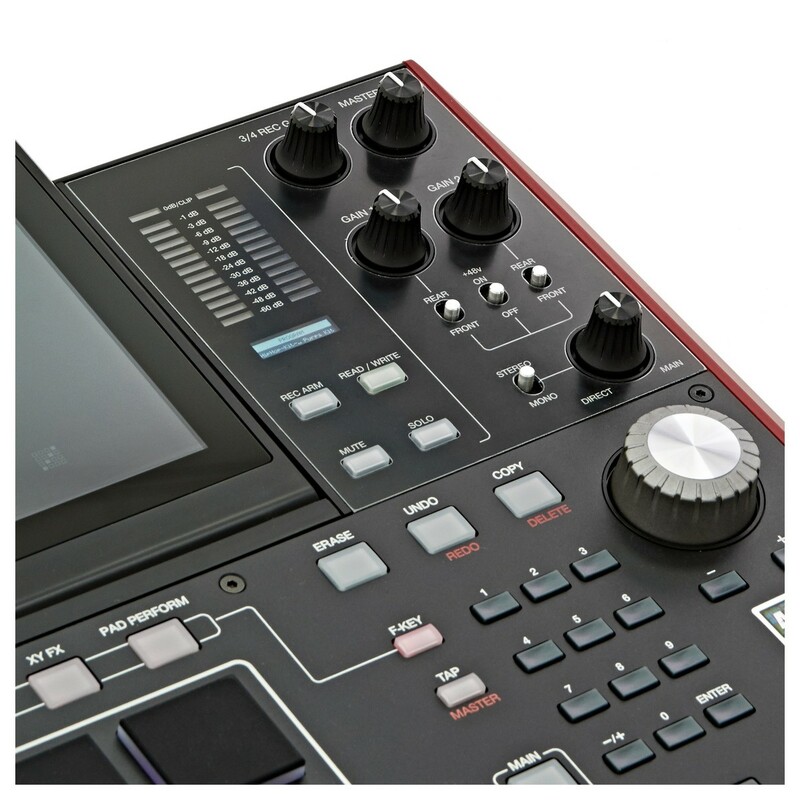 A total 66 buttons allow you to directly access and control all aspects of the MPC Software. The MPC X’s high-definition screen helps to optimise your workflow, allowing you to easily access every parameter you need with ease. 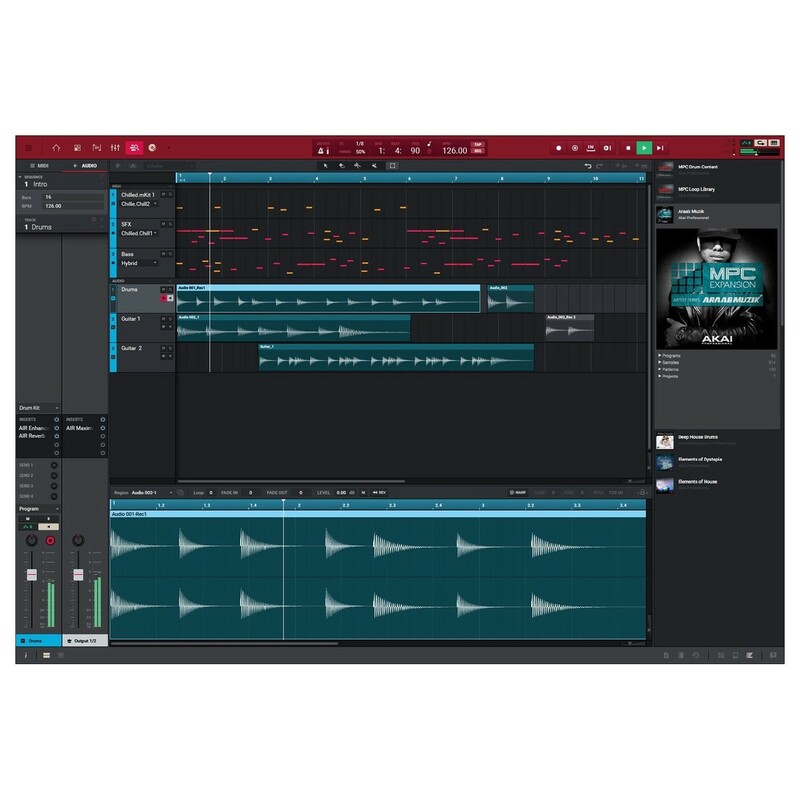 The MPC Software 2.0 features a built-in step sequencer, recording capabilities, sequencing and audio/MIDI editing, as well as XY FX that can be controlled using the dedicated hardware controls. 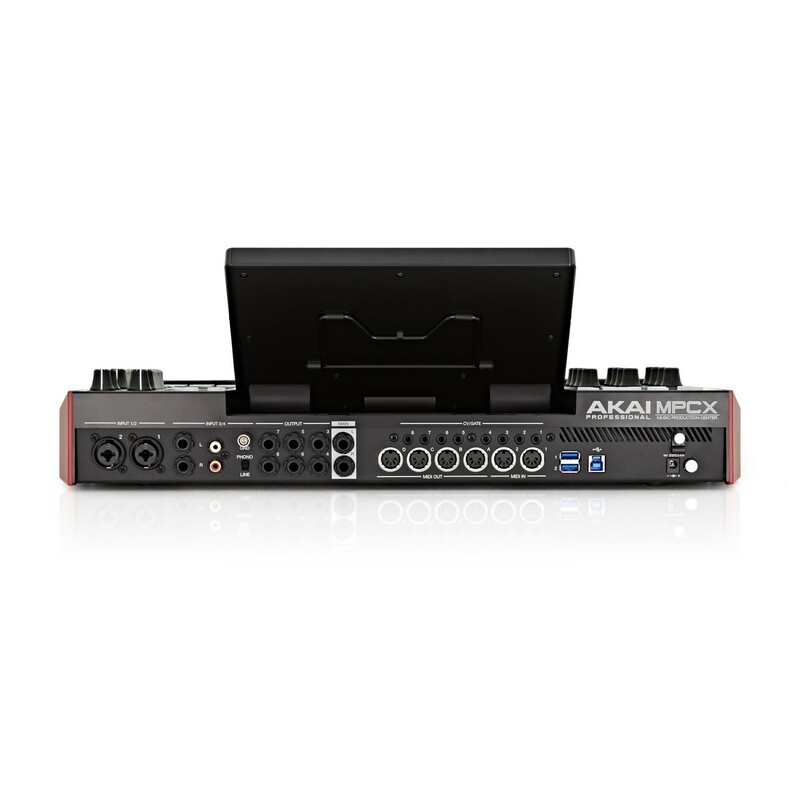 The Akai MPC X Standalone Production Machine features a wide range of versatile connectivity, including both analog and digital connections. One of the most unique inputs this MPC boasts is the XLR / ¼’’ Combo inputs with built-in Phantom Power. 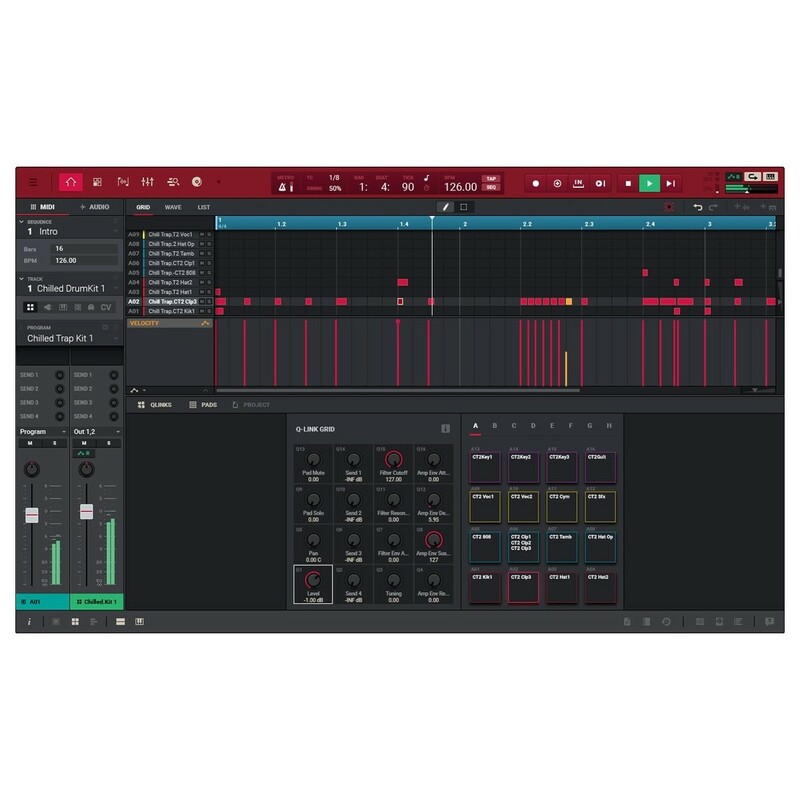 This allows you to connect studio-grade microphones for capturing high quality recordings, perfect for sampling vocals as well as percussive elements for sampling. The 4 selectable inputs in total include 2 instrument level jacks as well as a turntable RCA input with ground peg for sampling capabilities. 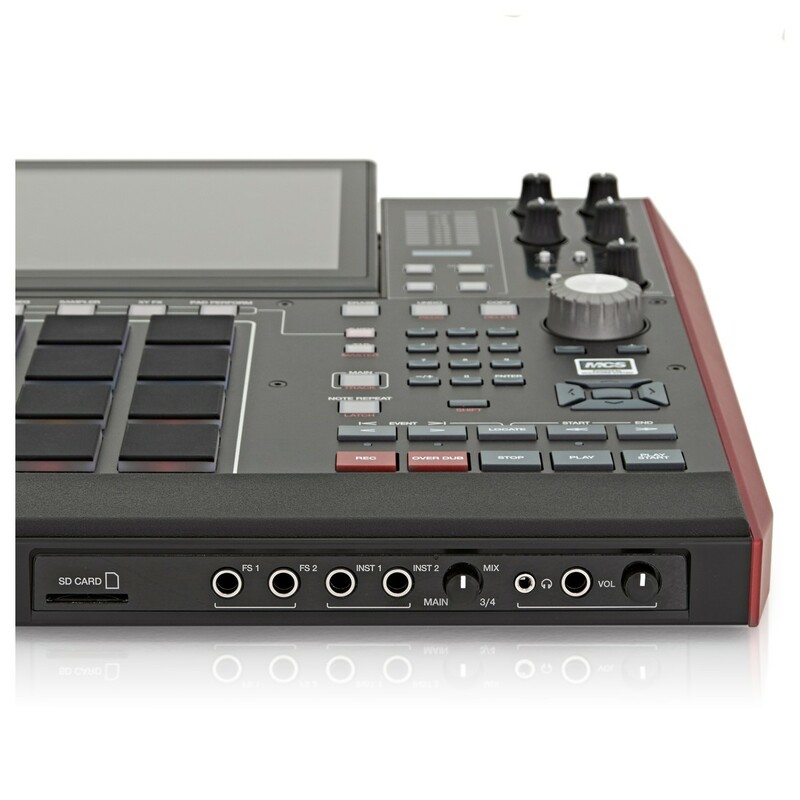 The MPC X also boasts an SD card slot for loading samples and projects as well as dual USB-A 3.0 slots for flash drives and MIDI controllers. Expand your memory using the 2.5’’ SATA drive connector, allowing to connect either the SSD or HDD hard drive. 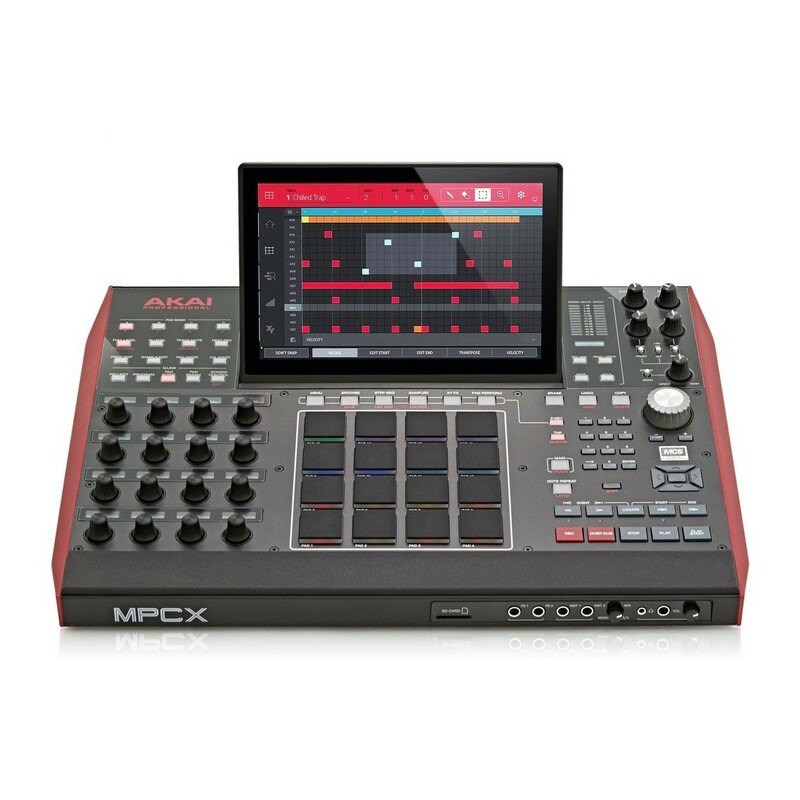 The MPC X includes eight CV/Gate outputs and a custom CV program which can be configured using the touch-screen display. 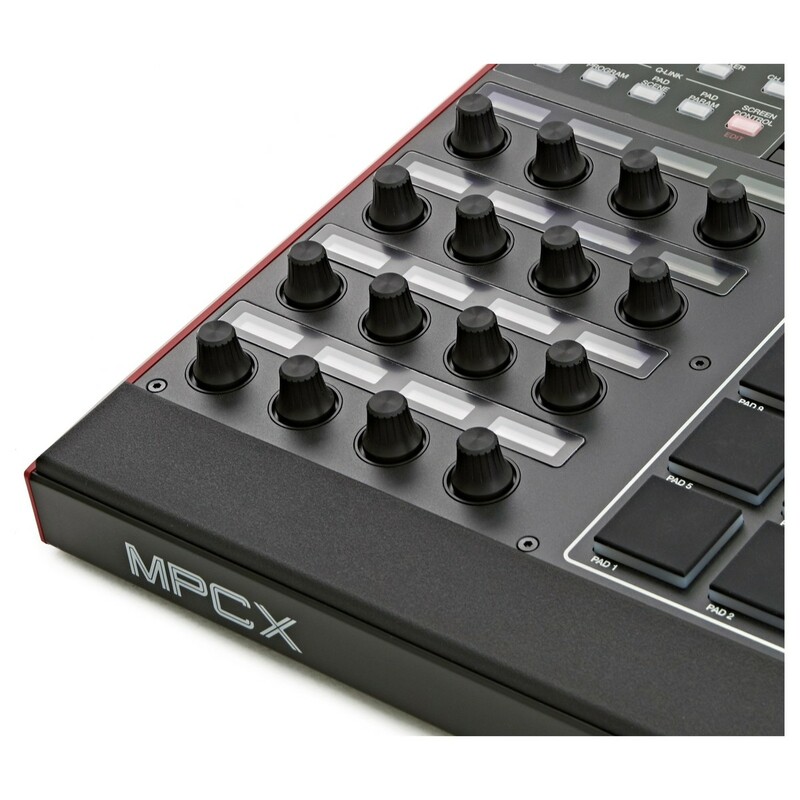 This gives you unprecedented control of your modular gear and CV compatible synthesizer via MPC X’s premium hardware controls for exceptional sequencing functionality. New MPC 2.4 Software Features: Effects, Plugins, and Mother Ducker Side Chain Ducking. MPC 2.4 update offers MPC users access to 16 classic AIR effects, directly from Pro Tools. Begin to experiment with the AIR Distortion to give crushing snare sounds, layered with AIR Reverb for an expansive and stinging sound. You can also use the AIR Lo-Fi to bit-crush a bassline and then apply AIR Multi-Chorus for a truly psychedelic sound. AIR Technology have also developed 12 brand-new plugins for this update, all of which can be layered with the classic Pro Tools effects. From an AIR Channel Strip, with multiple EQ shelfs, filters and parametric controls, to AIR Pitch Shifter that allows you to transpose incoming signals with zero latency. One of the most requested features of the MPC was the inclusion of a side-chain compressor. Akai listened and deigned the Mother Ducker. This side chain compressor has been designed with precision in mind, with constant input level metering and easily tweakable Attack and Release parameters, so you can control the exact amount of gain reduction you want when triggered. The Mother Ducker also boasts eight internal buses, so you can set up multiple channel strips, from your snares and kicks, right to basslines. For more information and installation information, please refer to the MPC 2.4 release notes PDF above. MPC now offers the ability to sample your own favourite synthesizers. The new Auto-Sample feature will allow you to sample any synthesizer preset or VST Plugin preset and turn it into a keygroup program on the MPC. The ‘Auto-Sample’ feature offers a -C2 to G8 octave range and up to four velocity layers. So you can layer textures and build the song you want. You can also edit the note stride, note length, tail length, and loop time. Capture your chosen sounds accurately and without any kind of unwanted digital artefacts. Once these sounds have been captured, they can be saved into your MPC as a preset and integrated into your set. For specifications, software content and more please refer to the PDF above.